Steve is the Climate Programs Senior Manager at Second Nature. 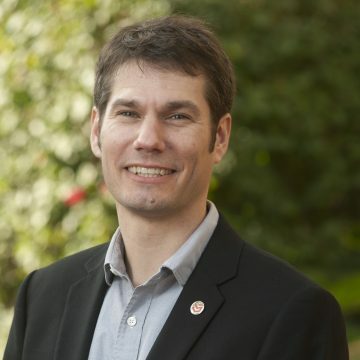 Steve previously worked at Second Nature from 2007-2013, and during this time he supported the growth and management of the American College & University Presidents’ Climate Commitment (ACUPCC). Much of his work focused on supporting Implementation Liaisons in their efforts to meet the ACUPCC reporting requirements and managing the ACUPCC Reporting System. In between his stints at Second Nature, Steve worked with the US Green Building Council (USGBC) Massachusetts Chapter. There he coordinated and delivered green building education offerings, managed membership retention and recruitment, and managed the Green Schools Committee and Green Apple Day of Service program. Steve’s volunteer positions include serving as the Treasurer, Clerk, and Trustee for Stratleade Sustainability Education, Inc. and serving as the Region 12 National Chair for USGBC Student Groups. Steve holds a Master in Strategic Leadership towards Sustainability from Blekinge Institute of Technology, Karlskrona, Sweden. His master’s thesis research assessed the efforts of the Campus Sustainability Movement (CSM) in the United States and Canada relative to a Strategic Sustainable Development Framework. Steve also holds a MS in Environmental Studies with a focus in Environmental Education from Antioch University New England, Keene, New Hampshire.